Stop right there. This is based on some past history — stretching back to the 1800s — and it’s full of holes. About three of those percentage points were only from inflation. The other 7% may not be reliable either. The data from the 19th century are suspect; the global picture from the 20th century is complex. Experts suggest 5% may be more typical. And stocks only produce average returns if you buy them at average valuations. If you buy them when they’re expensive, you do a lot worse. Hold it. Ask your broker if the firm’s economist predicted any recession — and if so, when. The record for economic forecasts is not impressive. Even into 2008 many economists were still denying that a recession was on the way. The usual shtick is to predict “a slowdown, but not a recession.” That way they have an escape clause, no matter what happens. Warren Buffett once said forecasters made fortune tellers look good. Tell that to the Japanese. 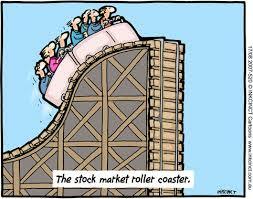 Since 1989 their economy has grown by more than a quarter, but the stock market is down more than three quarters. Or tell that to anyone who invested in Wall Street a decade ago. And such instances aren’t as rare as you’ve been told. In 1969, the U.S. gross domestic product was about $1 trillion, and the Dow Jones Industrial Average was at about 1000. Thirteen years later, the U.S. economy had grown to $3.3 trillion. 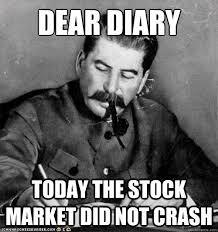 The Dow? About 1000. This must come as a surprise to Mr. Buffett, who prefers investing in boring companies and boring industries. Over the last quarter century, the FactSet Research utilities index has even outperformed the exciting, “risky” Nasdaq Composite index. The only way to earn higher returns is to buy stocks cheap in relation to their future cash flows. 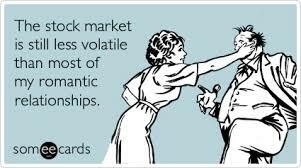 As for “risk,” your broker probably thinks that’s “volatility,” which typically just means price ups and downs. But you and your Aunt Sally know that risk is really the possibility of losing principal. 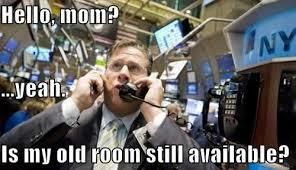 This hoary old chestnut keeps the clients fully invested. 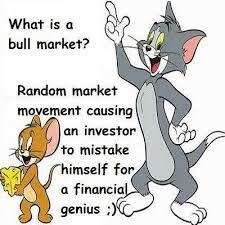 Certainly it’s a fool’s errand to try to catch the market’s twists and turns. But that doesn’t mean you have to suspend judgment about overall valuations. If you invest in shares when they’re cheap compared to cash flows and assets — typically this happens when everyone else is gloomy — you will usually do very well. 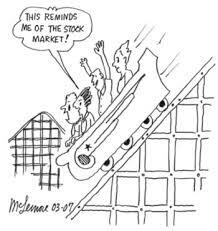 If you invest when shares are very expensive — such as when everyone else is absurdly bullish — you will probably do badly.